City Club Apartments is one of the country’s first international apartment brands, built on the foundation of five guiding principles—customer centric; design driven; unparalleled amenities and services; green and social responsibility; and advanced technologies. 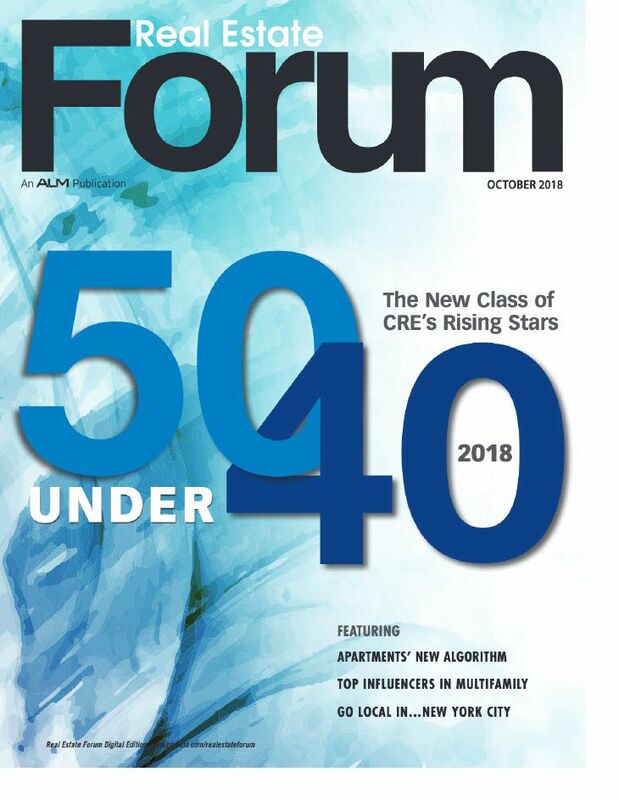 As co-founder and CEO, Jonathan Holtzman is recognized as a progressive and influential developer, investor and operator of ground-up and redeveloped historic mixed-use urban apartment communities. Prior to launching CCA in early 2016, he served as chairman, CEO and coowner of Village Green Holdings, a $4.5-billion apartment company that was founded by his grandfather Joseph Holtzman in 1919. 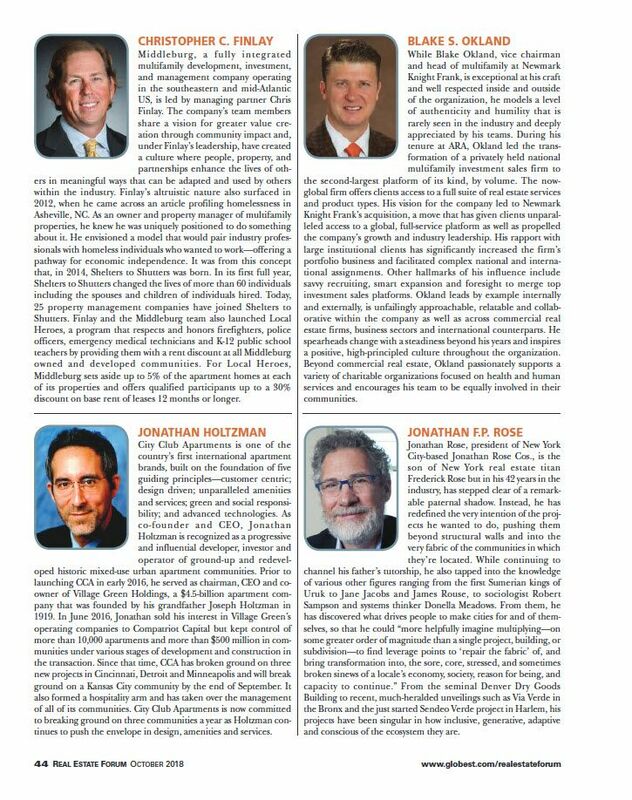 In June 2016, Jonathan sold his interest in Village Green’s operating companies to Compatriot Capital but kept control of more than 10,000 apartments and more than $500 million in communities under various stages of development and construction in the transaction. Since that time, CCA has broken ground on three new projects in Cincinnati, Detroit and Minneapolis and will break ground on a Kansas City community by the end of September. It also formed a hospitality arm and has taken over the management of all of its communities. City Club Apartments is now committed to breaking ground on three communities a year as Holtzman continues to push the envelope in design, amenities and services. 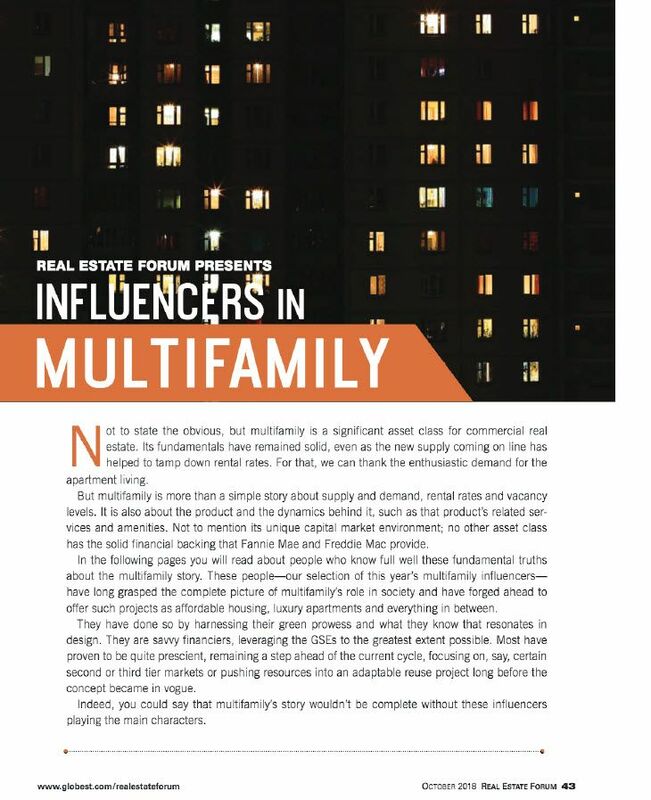 See full article from Real Estate Forum magazing below.